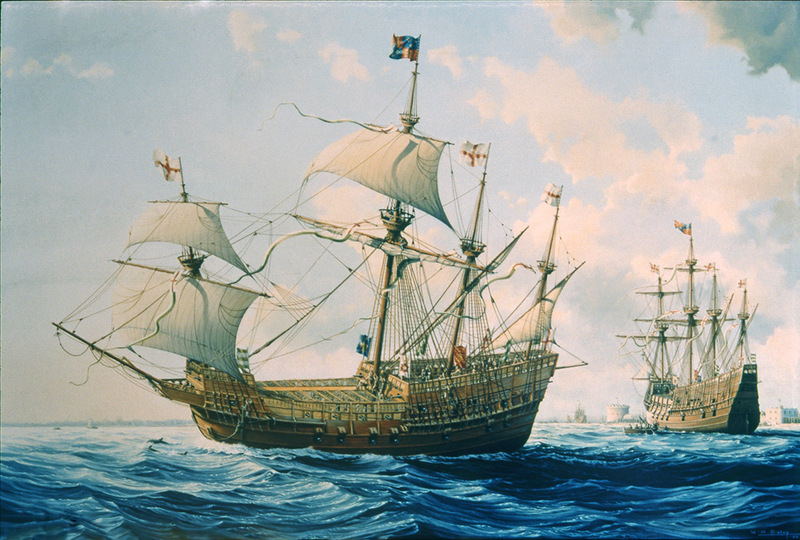 In 1988 he completed the (then) definitive version of the Tudor warship the Mary Rose, working with the marine archaeologist Dr. Margaret Rule. This oil painting was unveiled in Kensington Palace by HRH. Prince Charles. Later limited edition prints were launched at a function in the museum by the actor Robert Hardy.